The FP-2540 and FP-3-1500 Series offer the added strength and corrosion resistance of stainless steel for applications requiring low velocity measurement. 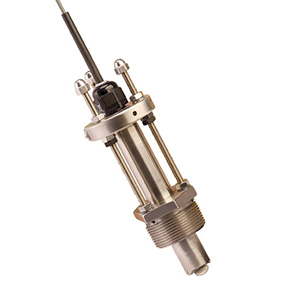 Unique internal circuitry eliminates the need for magnets in the process fluid, enabling lower flow measurement while maintaining the advantages of insertion-type sensor design. The sensor’s unique rotor/bearing design offers low flow measuring capability with increased reliability. Replacement rotor and pin for units with serial numbers with "A"
참고: Comes complete with 152 mm (6") installation ruler and operator’s manual.